Adolph Hitler seized on the burning of the Reichstag building on February 27, 1933 , to gain approval for his “Enabling Acts” that essentially ended civil rights and allowed for the arrest of members of opposition political parties. Ultimately, 96 members of the Reichstag were killed by the Nazis, many in concentration camps. 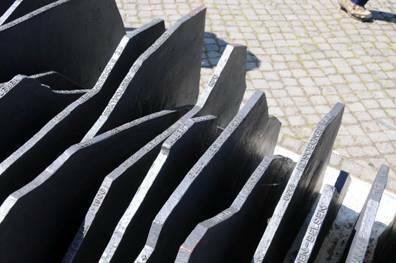 My image is based on a photo - right - of a portion of the memorial to those 96 Reichstag members that I took in Berlin in the summer of 2008 . 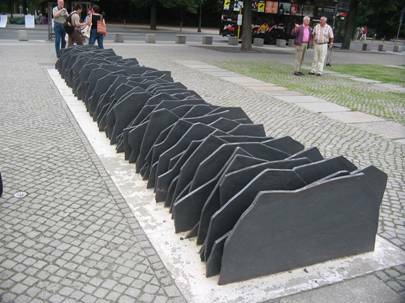 The entire memorial, consisting of 96 irregular slabs of slate, each with the name and fate of one member, is shown at left. Gleichschaltung (meaning "coordination", "making the same", or "bringing into line"), represents the Nazi takeover as a flood of fire (or is it blood) sweeping through and overwhelming everyone in its path. 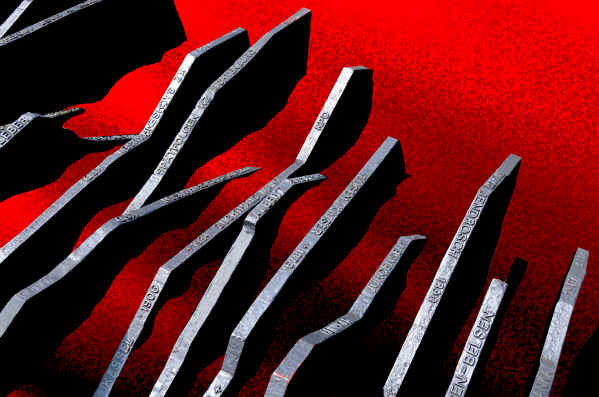 Gleichschaltung is available as an archival giclée print in three sizes, all are signed by the artist. To order or for further information, email me by clicking here. 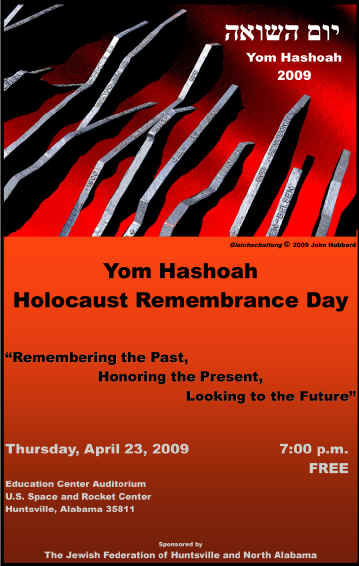 Gleichschaltung was chosen as the artwork for the Yom Hashoah Holocaust Remembrance Day here in Huntsville. Here's the poster with the image.